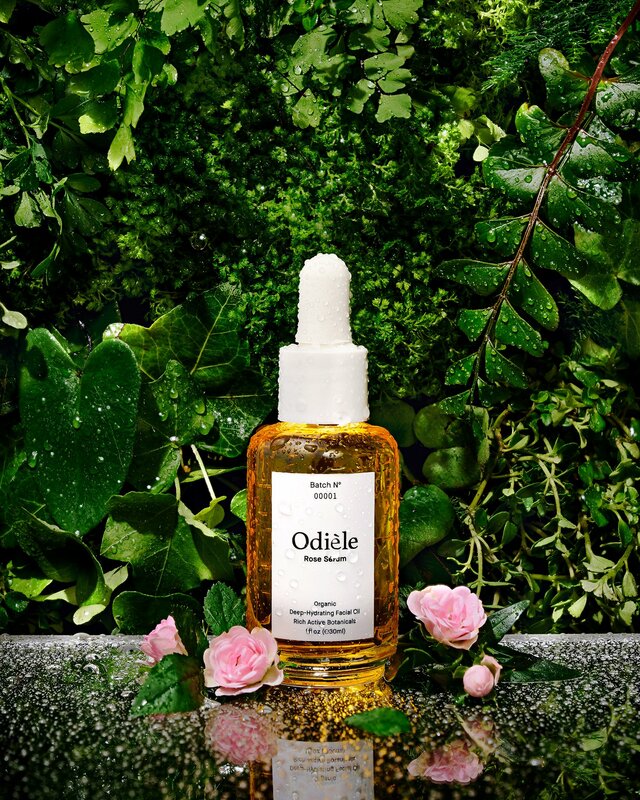 Odièle is the functional indulgence - effortless, effective, and dripping luxury. The pure oils of 300 Bulgarian Roses embrace each bottle to formulate the product’s seductive and alluring scent. The selective ingredients of this rich, nourishing, and complex blend of more than 200+ components is highly prized for its skin benefits. It's the ultimate multitasker. Our Rose Sérum is a powerful cocktail of essential fatty acids loaded with vitamins and minerals that infuse the skin with essential nutrients. This bioactive phytonutrient dense face oil restores and reinforces the integrity of your skin’s lipid barrier. 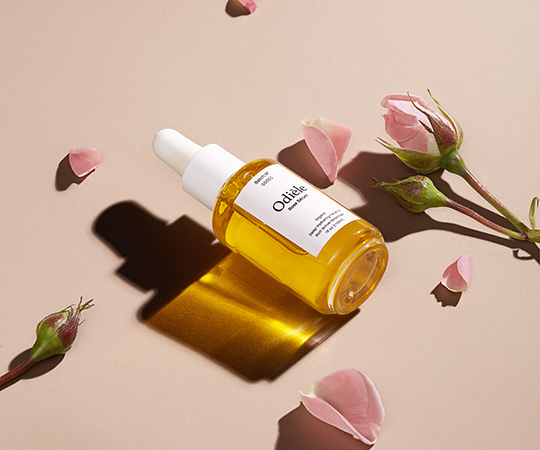 Anti-aging and anti-inflammatory, our Rose Sérum increases energy production in skin cells, promotes anti-oxidant protection and works its magic by increasing hydration retention levels of the skin. Your skin is protected by a thin film of epidermal surface lipids. These lipids are your skin’s security guard to retain hydration, elasticity, and softness, and fend off free radicals, and harmful bacteria. With age this barrier becomes lipid deficient causing wrinkles, loss of elasticity, and other skin irritations. Without this strong protection, your body becomes susceptible to trans epidermal water loss (TEWL) and weakens its ability to maintain hydrated. Unlike other skincare products, our Rose Sérum is formulated to conserve and recondition this primary skin feature to maintain long-lasting results. Our Rose Sérum contains a high concentration of fatty acids that provide the lipid barrier with its essential nutrients. With Omegas 3, 5, 6, and 9 to strengthen cellular structure, this sérum helps regulate skin functions to balance oil production in all types of skin. These essential fatty acids (EFAs) protect the skin from extreme weather conditions, and air pollutants. Omega 5, the only known botanical form of Conjugated Linolenic Acid, is considered the most potent antioxidant. This sérum contains the 3 lipids, cholesterol, ceramides, and fatty acids, necessary to seal in moisture, and keep irritants out - promoting skin suppleness, and softness. Charged with vitamins A, C, E, F, B1, B2, and K, our hero product…. Our Vitamin E is specifically soy-derived due to its high gamma tocopherol concentration, the most potent tocopherol against skin inflammations. Directions: Shake bottle gingerly. 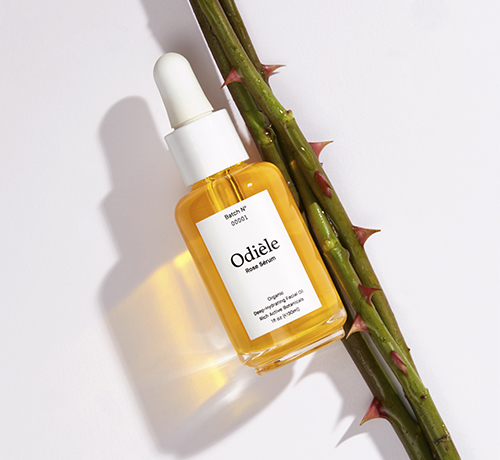 Rub 2-5 drops of Odièle Rose Sérum between palms to activate the product, then massage it into face, neck, and décolleté. Use morning and night.